Q. How is conductivity used to determine how much detergent concentrate to add to a cleaning solution to restore cleaning performance? A. Part of the technical information Alconox, Inc supplies for its brands are detergent concentration versus conductivity curves. By adapting these curves to your conditions and measuring the conductivity, detergent depletion and dilution can be determined. This determination can be used to figure out how much detergent to add to the cleaning solution to restore cleaning performance. Keep in mind that, the bath will ultimately reach a point where it forms sludge (or where some other failure occurs). At that point, the bath must be dumped and a complete batch of new cleaner made up. The time to dump the bath, and start over, is generally determined using some cleanliness measurement and defined in terms of number of parts cleaned or time period of bath use. Conductivity does not typically detect the point of cleaning failure, but only detects concentration of cleaner present, whether depleted or not. 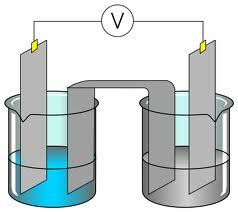 Note that, conductivity is temperature dependent. Detergent solutions do not have the same slope as many default settings on temperature-correcting conductivity meters. For best results, allow hot detergent solutions to cool to a consistent temperature for comparison. To receive conductivity charts for Alconox detergents please contact us at cleaning@alconox.com. To request free detergent samples for testing, please visit Get Sample. To ask our experts a cleaning challenge please visit Ask Alconox. ← What is a nonionic detergent?